A charming light-filled Cape Cod 2 story house located in the historic village of Sag Harbor with a swimming pool in a landscaped rear yard has 4 bedrooms and 2 baths. 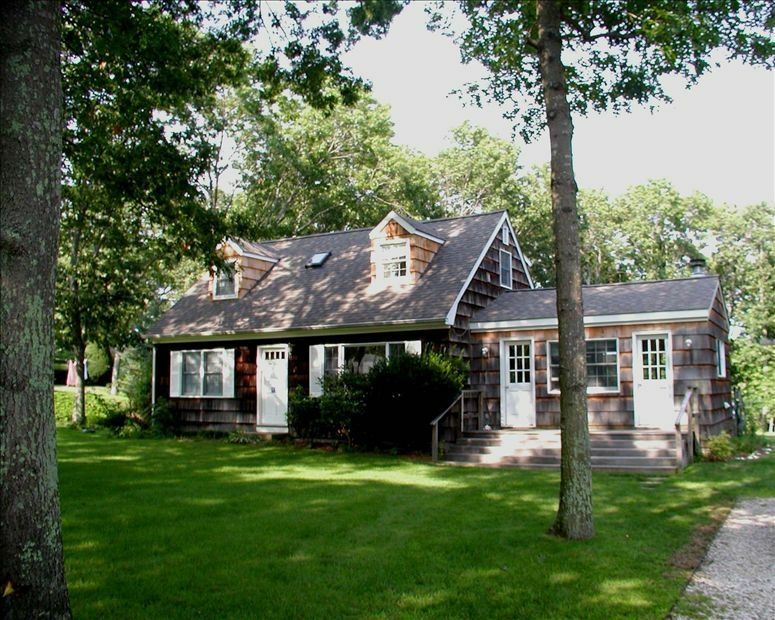 The house is within walking distance from the center of the village, restaurants, cinema, a theatre and a large dock and is situated in a half acre surrounded by tall oaks, evergreen shrubs and with visual privacy in the rear yard. The quite residential community does not have through streets but is in close proximity to the ocean (10 min. by car) and the bay (5 min. by car). Tennis courts are within walking distance. The house was renovated to create a simple, uncluttered, well lit and warm feeling. The lower floor has an open layout with the high ceiling living room (with a wood burning fireplace) drenched with sunlight on three sides and decks on two sides, the dining room and kitchen create a space conducive to socializing and entertaining and are open to the living room. Two bedrooms on the lower floor share one bathroom and two large bedrooms upstairs share a second bathroom. Both bathrooms have been updated and overlook the rear yard. Really lovely place to call home for a few days. Wonderful location and proximity to everything. Super cozy, beautiful backyard, and pool. Beds were comfortable too! I look forward to going back. Thanks for everything. Very glad to have had a gratifying response and that they enjoyed their stay at our house. We're happy to have them back anytime.